One of the best things about the luxury watch community is diversity. No two people have the exact same taste in watches, and that makes for great dialogue and stirs up some spirited debates. So, in the spirit of discussion, we asked our writers to tell us a little about their taste in watches by picking their favorite, and least favorite, luxury watches. Let’s take a look. When you write about watches for a living, being asked which is your favorite is something that happens fairly often. And, much like choosing a favorite song, the answer tends to change depending on the mood I’m in. 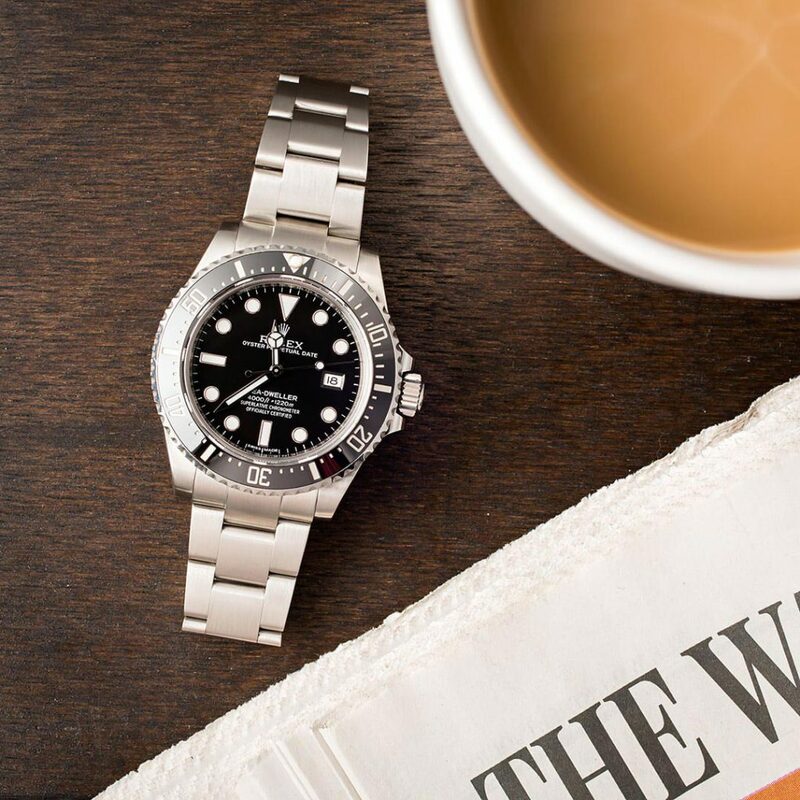 However, just as I’ll always come back to Let it Be if pressed, I seem to constantly side with the Rolex Sea-Dweller 4000 ref. 116600 for my standout timepiece. For me, it is the one that got everything right. It marked the return of the model after a long, Deepsea-enforced absence. It was only around for three years, so it has a built-in scarcity value. It was the first of the breed with a Maxi case and Cerachrom bezel but the last with a 40mm diameter. And, crucially, it was also the last Sea-Dweller without the Cyclops above its date window. Unlike most Rolex fans, I don’t have particularly strong feelings over the magnifying lens one way or another, but on my SD, I prefer the symmetry of the dial without it. So, in my own humble opinion, it has the perfect blend of traditional and modern design elements. A robust and stylish everyday wear with a fantastic heritage, what more could you ask for? My least favorite is quite a painful admission for me, mainly because I love the rest of the output from this brand. But the Bell and Ross BR 01-92 hits my eye as a great, ugly square slab, free of any of the graceful elegance I look for in a watch. Congrats, Bell and Ross. You made a brick. Designed to mirror the look of an aircraft cockpit, which it certainly does, its huge dimensions and four exposed screws lack any kind of subtlety, and I don’t think it has aged well. It’s not that I don’t like square watches; TAG Heuer’s Monaco and the Cartier Santos will always be near the top of my personal wish list, and even the smaller BR range from Bell and Ross look pretty good. 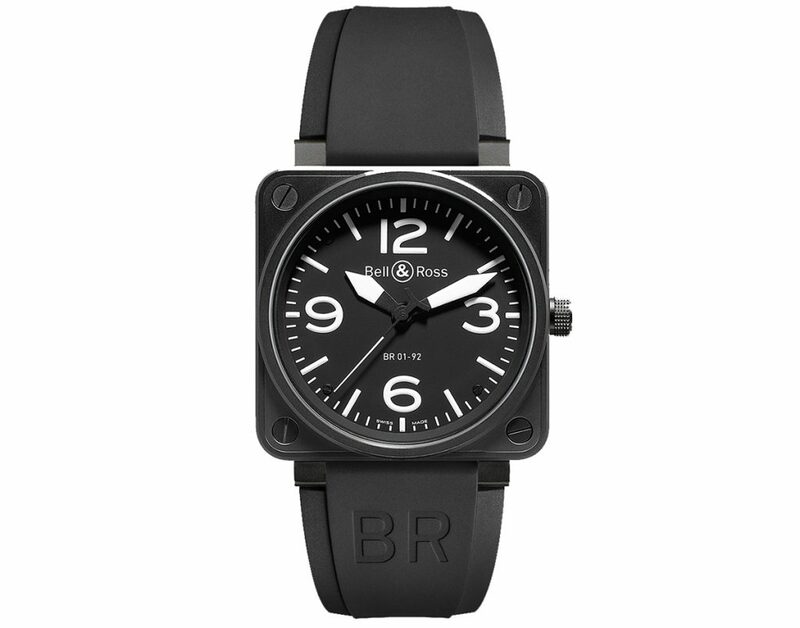 But the 46mm BR 01-92 is a real love or hate watch, and I know which side I’m on. 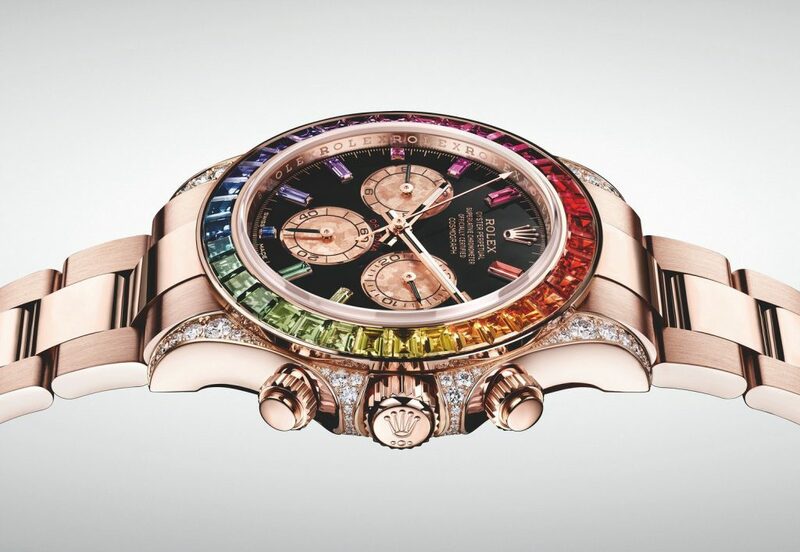 The coolest luxury watch in the world is the Rainbow Daytona in Everose Gold. This watch is the epitome of luxury. It’s big. It’s gaudy. It’s sophisticated. It’s Rolex. Now I’m not normally one for obnoxiously overpriced watches, but here’s the thing: Rolex absolutely killed it with this watch. The attention to detail is astounding. In fact, I’m honestly surprised this watch isn’t more expensive than the modest $100k price tag it has been given. Between the 36 baguette-set sapphires, the 56 diamonds set into the lugs, and the colored sapphire indexes, the Rolex Cosmograph Daytona reference 116595RBOW doesn’t whisper luxury – it f***ing screams it. 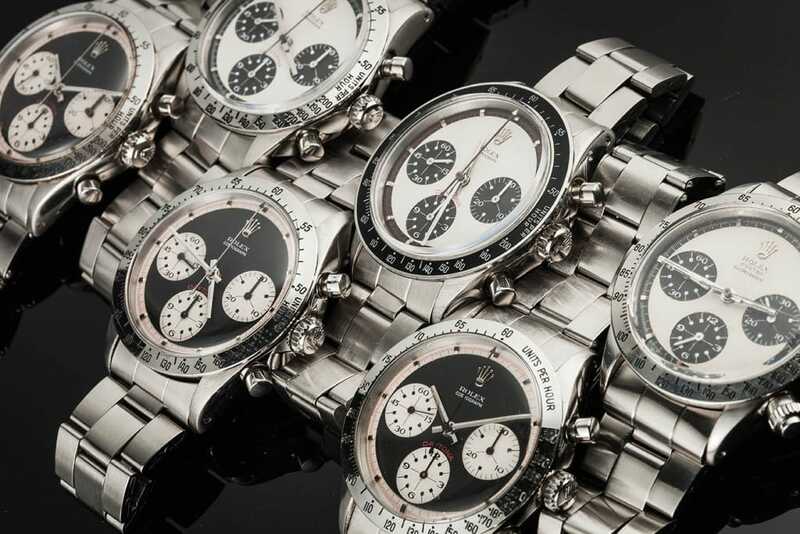 If I see another auction for a Paul Newman Daytona I’m going to lose it. I get it. Paul Newman was cool and Butch Cassidy and The Sundance Kid was a great movie. But the fact that Paul Newman wore one every day doesn’t mean the watch should instantly be valued at over $1,000,000, let alone nearly $18,000,000. If that’s the case, I know a guy who knows a guy that bumped into Paul Newman on the streets of New York and now his denim jacket is worth enough to pay off my student loan debt. In all honesty, the Paul Newman Daytona is a decent looking watch. But as we have repeatedly learned from top 40 radio, you really can have too much of a good thing. Case and point: Despacito. I’m still drooling over the Navitimer 1 Automatic 38 that Breitling presented at Baselworld this year. To many people’s surprise, it’s not a chronograph. But what this watch lacks in precision it makes up for in 1950’s vintage-inspired elegance — from the deliberately unisex sizing to that striking beaded bezel. At 38mm, the bezel is a perfect fit for anyone. And the fact that it’s not a chronograph means no more clutter. 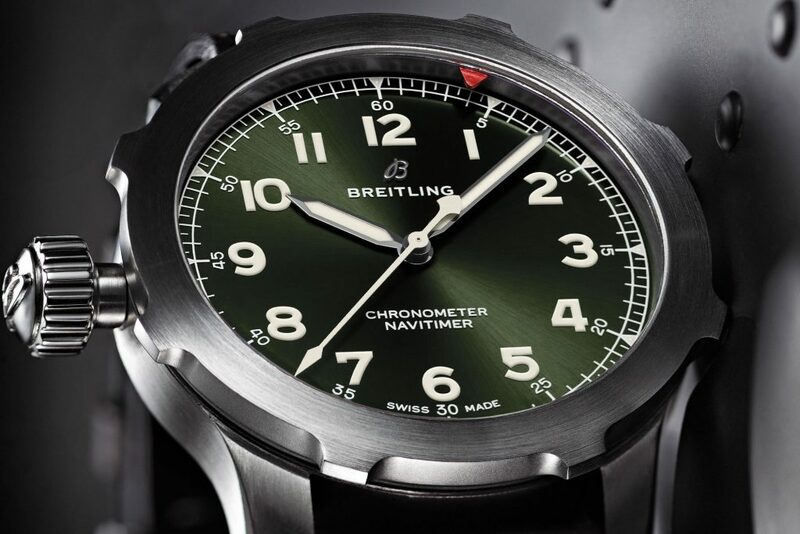 A Breitling with a legible dial? Sign me up. 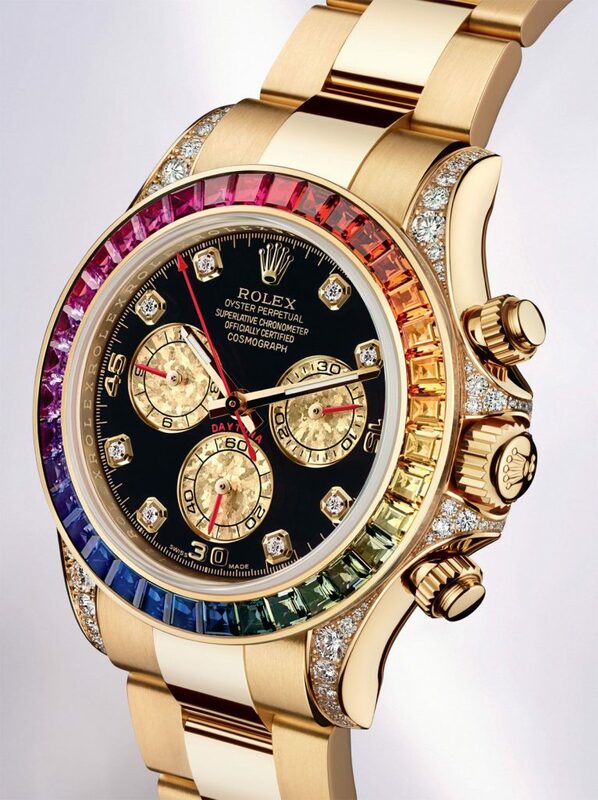 My least favorite watches are over the top, so naturally, a timepiece like the Rainbow Rolex Daytona bothers me. This watch is iconic for its bizarre-turned-adored face (thanks, Paul Newman). So, why take away from that with such an ostentatious display of sapphires? The Omega Speedmaster is my favorite watch for many reasons. The chronograph and tachymeter functions create a watch that is timeless and easy to wear. Also known as the “Moon Watch”, early variations of the Speedmaster have been present during every NASA mission, including Buzz Aldrin’s first steps on the moon. With a history like that, it’s hard to deny the Speedmaster’s status as a must-have watch. My least favorite watch is anything with a case that is larger than 41 or 42mm. 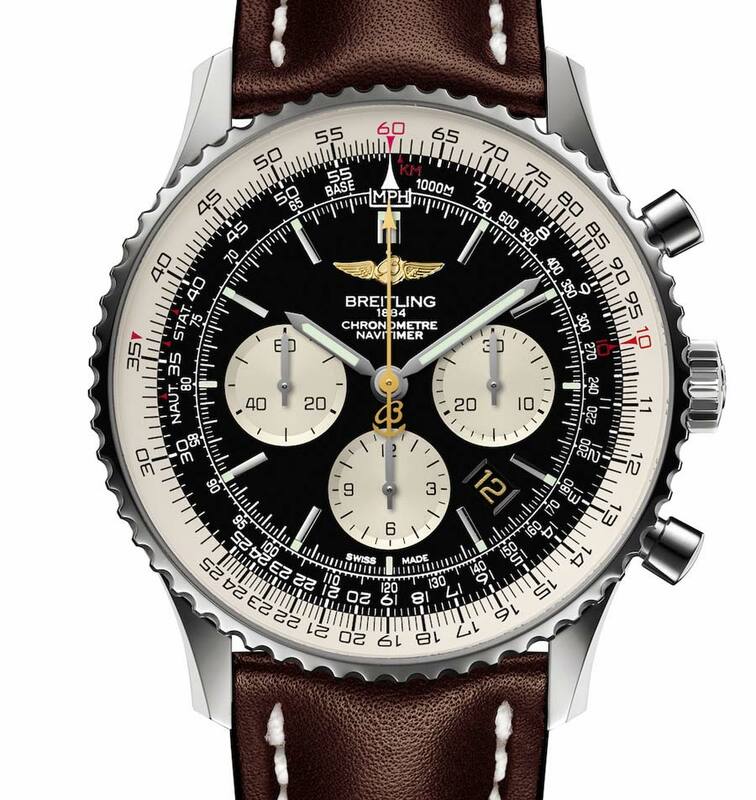 That being said, anything with a case size as large as the The Breitling Navitimer immediately makes me cringe. Breitling is one of my least favorite brands in general, so that’s one strike against it. And, coming in at a whopping 46mm, the Navitimeter falls firmly within the “oversized and obnoxious” camp of watches. While this case size might be ideal for larger wrists, I’m just not a fan of the style of really large watches. The reasons are threefold. First, its unique caliber is incredibly cool to see in a relatively affordable production watch. A 5Hz balance runs the standard time, whereas a 50Hz balance runs the chronograph, allowing for the timing of 1/100th of a second. 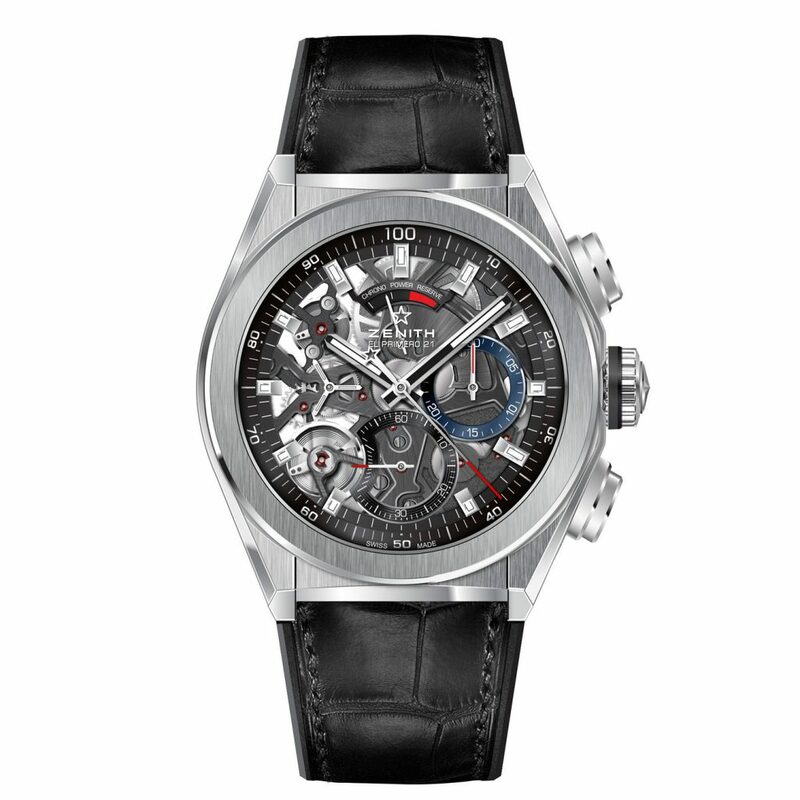 The central chronograph hand rotates once every second, the subdial at 6 logs elapsed seconds, and the register at 3 displays a 30-minute chronograph counter. Second, it wears incredibly well on the wrist. The 44mm diameter seem chunky, but with short lugs and a broad rubber strap it is surprisingly comfortable on a smaller wrist. Third is a matter of value. This kind of high-tech chronograph wizardry isn’t something easy or cheap to execute, and yet the standard panda and reverse-panda dialed versions retail for a modest $9,600. 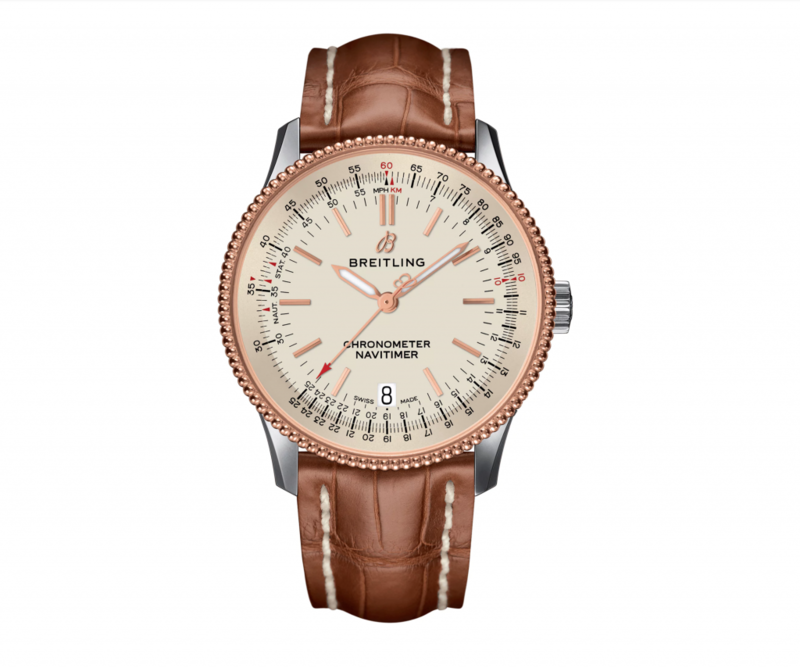 Sadly this list is much longer than my list of favorites, but if I had to pick a watch that just doesn’t make sense to me in the current market, it would have to be the new Breitling Navitimer Super 8. So many things are wrong with this watch. 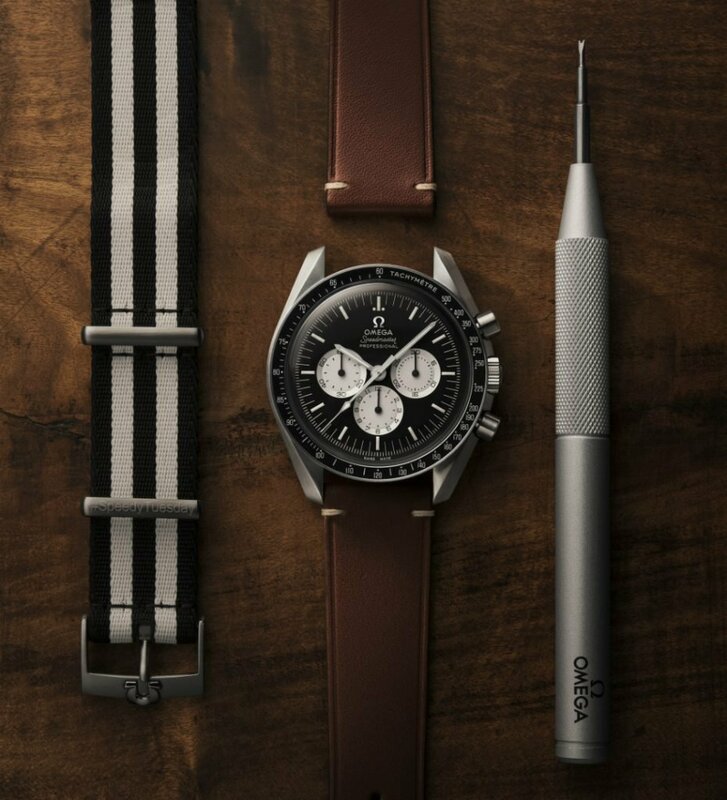 It’s modeled after a wrist-mounted stopwatch used in WWII for bombing missions, so its roots are already dark, however it doesn’t have a chronograph complication. Its crown protrudes obnoxiously from its case. Its brushed steel bezel is devoid of any sort of detail or counter, instead moving a tiny red triangle to register elapsed time. Other than the hideous crown, its other true-to-original design detail is its obnoxiously large 50mm diameter. Why Breitling opted to go for an oversized case in an era where preferences are leaning back to more modest sizes, I’ll never know. And, while the green dial is somewhat on-trend, it is not enough to save this monstrosity.